What better way to celebrate Valentine’s day than with something unexpected, something delicious, and something pink. 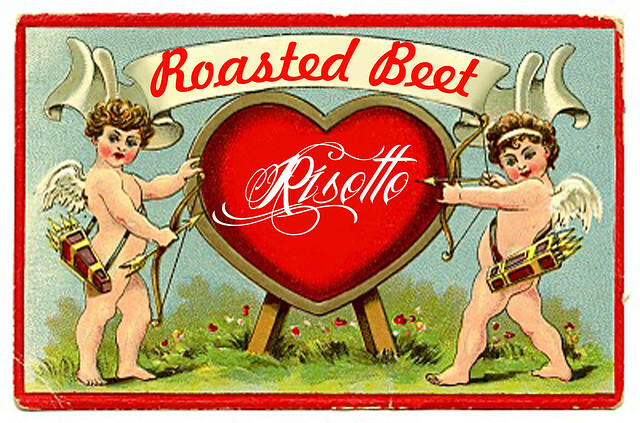 Roasted Beet Risotto is just the thing. 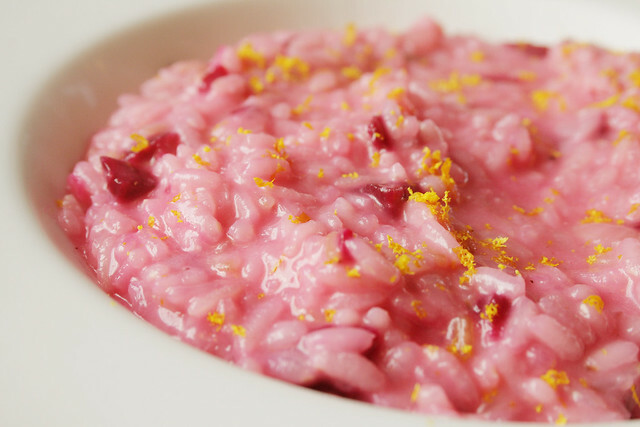 Even if you aren’t a fan of beets you can make this shockingly-colored risotto and fish the beet chunks out at the and and you can still enjoy the creamy goodness. The flavor of the beets in this is mild, so mild, and it takes so little beets to impart their lovely color that even reluctant beet eaters will love this. If you’ve been reading this blog for any length of time you know that I’m a huge fan of risottos (I’ve previously posted lemon asparagus, asparagus shiitake, and shiitake butternut risottos) but I’ve never actually posted the complete, step-by-step recipe. In addition to being delicious, risotto is a gentle thing for me to eat when my Crohn’s is acting up, and it’s creamy neutrality makes it a perfect foil for experimentation with seasonal vegetables. 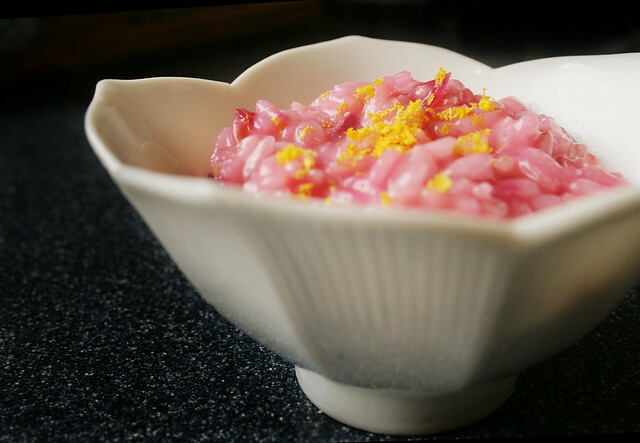 I’ve posted the basic steps to any risotto here, but what makes this beet risotto special is the addition of rosemary, the roasted beet itself, and the orange zest. It would be a perfect food to make in February even if it were yellow because all of these ingredients are in season. 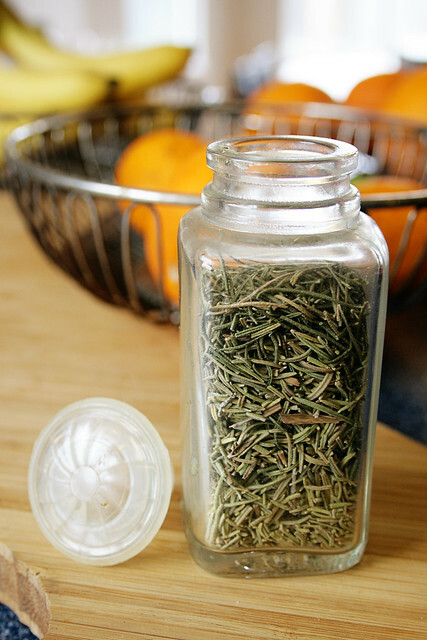 I used leftover rosemary that I dried from one of my plants, but if you have fresh rosemary, use it. 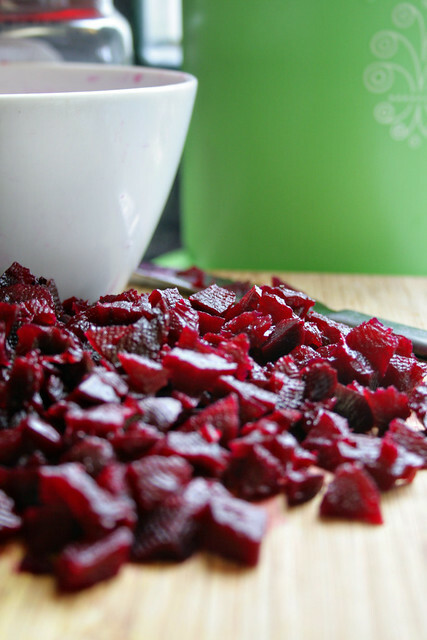 If you are excited to make pink risotto but unenthusiastic about the beets themselves, cut the beets in larger chunks so they are easy to remove after the rice has absorbed their color. Although I didn’t make up risotto, obviously, I made up this recipe in my head, so it’s all approximations at this point. I’m thrilled it turned out so deliciously. When I held the spoon out for Anthony to try some I could see him hesitate. It was pink. From beets. He wasn’t sure if he was going to like it but he’s a dutiful husband and he took a modest bite. That was before he devoured two huge bowls so I think we can consider this recipe a success. Isobel, of course, thinks it’s brilliant. 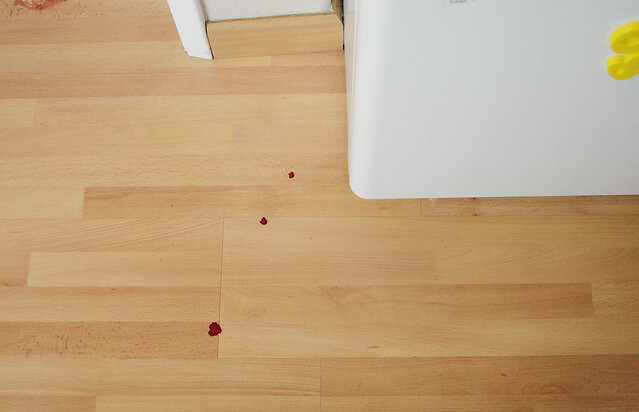 As I was moving the beets from the oven to the fridge to cool a few drops of their liquid escaped their foil wrappings and I couldn’t help but notice that one drop looked like a heart. I took it as a sign I was onto something good. 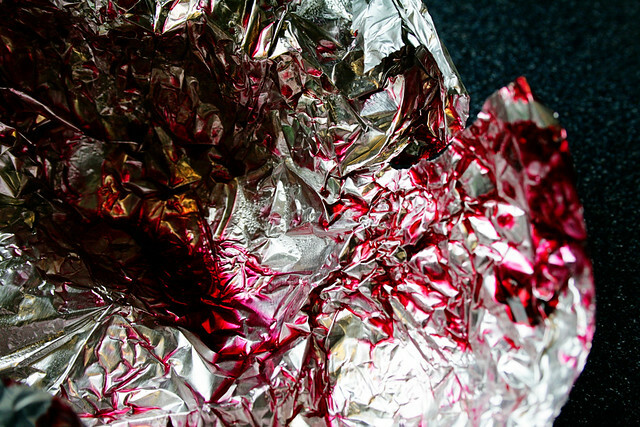 Wrap your beet loosely in foil and roast in a 400 degree F oven until tender. This will depend on the size of your beet, but most are going to take at least 45 minutes to an hour. When done I waited until cool and unwrapped their foil packages. I put them, foil and all, into a bowl so any staining juices would be contained. You can wear gloves for this step but I didn’t bother. The skins of the beets just rubbed right off and I placed them on a cutting board lined with waxed paper. Using a butter knife I chopped finely. They were pretty irregularly shaped but as long as they are small that doesn’t matter. Use a saucepan to warm the both and keep a ladle nearby. In a larger pot, melt 3 tablespoons of butter and add a splash of olive oil if you feel like it. Add the onions or shallots and the rosemary and sauté for about five minutes. This is going to smell very, very good. Add the rice and stir, making sure each grain (or thereabouts) is coated in butter. Sauté, still stirring, for about a minute or so. Add the wine and stir for another minute or so to let the alcohol burn off. This is when you start the process of adding the warm both or stock, a ladleful at a time, to the cooking rice. This process is going to take about 30 minutes, and you’ll need to be there stirring the whole time. It isn’t difficult, but you must follow these steps for your risotto to turn out. The stirring action releases the starch in the rice that gives it that creamy, luscious consistency. Keep stirring. Add a ladle or two of stock and keep stirring until it’s absorbed. Add another ladle of stock and repeat until stock is gone, or about thirty minutes have passed, or until you taste it and you know it’s ready. 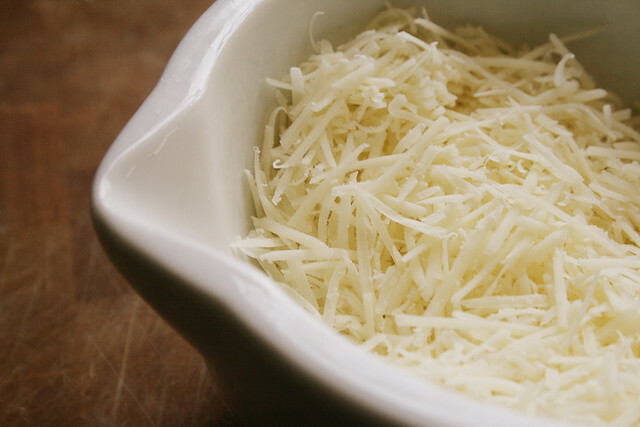 Turn off the heat, add the remaining tablespoon of butter and the grated Parmesan cheese. Stir to combine. At this point I added the chopped beets, 1/4 of a cup at a time, to the pale glistening rice. Stir after each addition and simply stop when your rice has reached the level of pink you desire. You can control the color to make anywhere from a whisper pink to a full-on magenta. Add two tablespoons of the orange zest and stir, adding more golden bits of zest to the top of each bowl for serving like confetti. If you make this, let me know! I’m dying to hear what others think. I had a GORGEOUS beet risotto at a local restaurant here in St Louis and it was AH-MAZING. But I love me some beets. I actually have some in the freezer. Hmmmmm…. This sounds amazing… but I’m just not sure I can make it past the pink color! My husband had his doubts until he tasted it. Give beets a chance! Try it! And if you do, let me know how it goes! It sounds great! And it looks great!! If I try this, I will let you know. And maybe I will. PLEASE do! I’d love to hear from someone else who tries it! I’m not sure why (because I’ve made risotto before and I’m not a super huge PINK! fan) but this post made me love you even more. I’m going to try this next week. Aw, I love you, too. Please let me know how it goes! I really wish J didn’t HATE beets. Not dislike, HATE. BEETS. He hates beets. and I forget whole words sometimes.